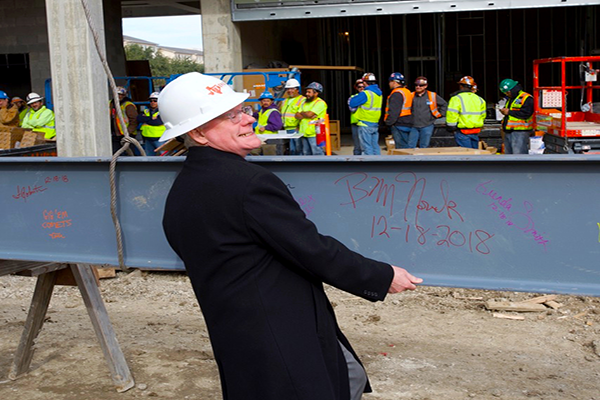 On December 17 and 18, the UT Dallas community and our construction partners celebrated an important milestone in the construction of the new Science Building by signing the final roof beam before it was set in place. Once the construction is complete, this facility will primarily house the Departments of Physics and Mathematics. Additionally, it will provide optimal space to carry out teaching, advising and research activities. This facility will contain 150- and 300-seat lecture halls, research and teaching labs, student collaboration space and faculty offices.